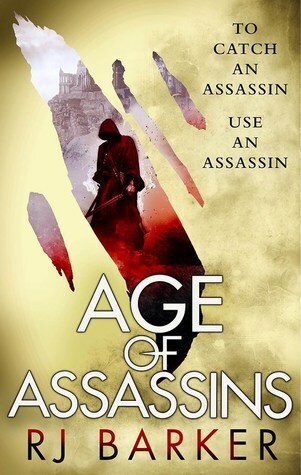 Age of Assassins is another phenomenal 2017 debut that needs to garner more attention. Orbit has genuinely killed it, no pun intended, with their fantasy/grimdark debuts this year and I can’t wait to see what 2018 holds. Barker needs to be on your watch list if you are a fan of fantasy. PERIOD. Girton Club-foot, a young disabled boy who has been given up on by what seems like everyone, is given a second chance by the most impressive assassin the world has seen. Though he has much to learn and an obvious obstacle to overcome, his teacher is the best of them all; but his next trial is not one he signed up for. Queen Adran has ordered Girton and his master, Merela Karn, to find a potential assassin in their midst; one that has supposedly been tasked with killing her son and heir, Prince Aydor. Girton pretends to be a squire, though with awkwardness and incompetence to not give himself away, in order to gain the trust of the other young lads in the town with hopes of uncovering the mystery. What he soon realizes is that there are several people who want the Prince dead, and he and his master are in the middle of a very dangerous game. My favorite part of AoA was the relationship between Girton and Merela. Not only does Merela act as his master, but she also acts as a mother figure to him. Theirs is a relationship built more on love and trust than on skill and it really shows though their many interactions. Of course, like any relationship, there is tension, due mostly to Girton’s naivety and swift judgement. The best part of their relationship is shown in the flashbacks, where you see Girton’s beginnings with his master and how they both grew together. This novel has a lot of heart and is one that, I believe, will stick with me for a while. Girton is a character I rooted for from the beginning and I cannot wait to see how he grows in the coming sequels. All in all, AoA is one of the best books of 2017. The mystery and fantasy elements play off each other well and this doesn’t read like a debut. I feel like I waited too long to pick this one up and I strongly encourage you not to make the same mistake. I also encourage grabbing the audiobook, narrated by Joe Jameson. He does a top notch job diving into the character of Girton and delivers a solid performance. Nice review! Just picked it up to read. Thanks, Michael! Let me know what you think when you finish!